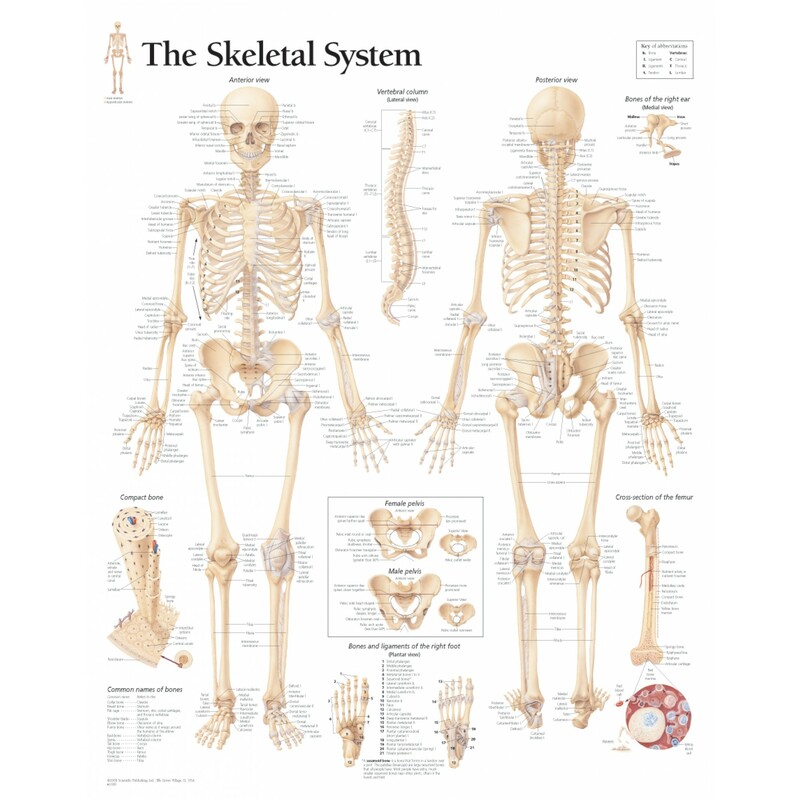 The Skeletal system includes every bone and joint inthe body. Each bone is a complex living organ that is made up of many cells, minerals and protein fibers. The skeleton acts as a scaffold by giving support and protection for the soft tissues that make up the rest of the body. The skeleton system also provides a connection point for the muscle to allow movements at the joints. A new blood cell is created by the red bone marrow inside the bones. The bones act as the body warehouse for iron, calcium, and energy in the form of fat. Lastly, the skeleton grew throughout the childhood and provided a framework for the rest of the body to grow along with it. 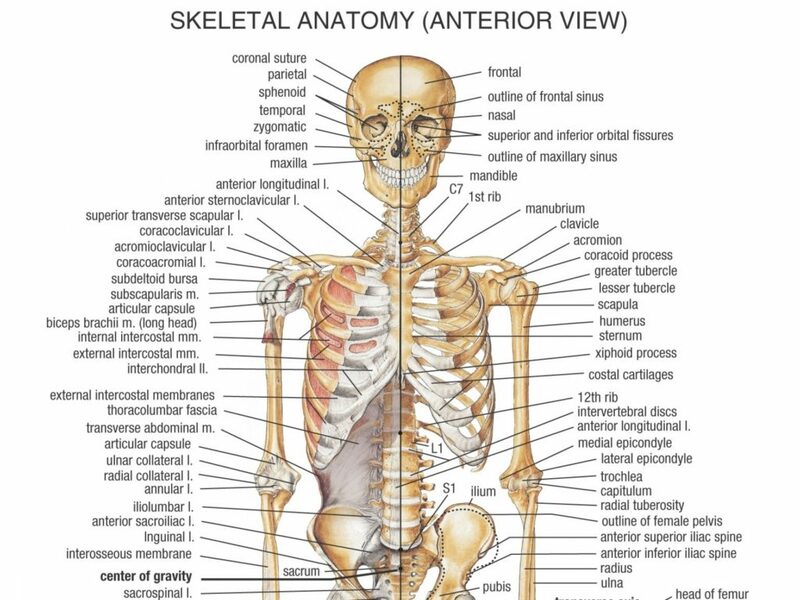 The skeletal system is an adult body is made up of 206 individual bones. These bones arranged into two major divisions. The appendicular skeleton and axial skeleton. The axial skeleton continues along the body’s midline axis and consists of 80 bones in the following regions. The skull is made of 22 bones that are welded together except for the mandible. These 21 joined bones are separate in children to allow the skull and brain to grow, but become fused later on, to give added strength and protection as an adult. The mandible remains as the movable jaw bone and forms the only movable joint in the skull with the temporal one. The ones of the superior portion of the skull are also referred to as the cranium and guard the brain against damage. The bones of the inferior and anterior part of the skull are known as facial bones and support the eyes, mouth, and nose. The hyoid is a small, U-shaped bone located just inferior to the mandible. The hyoid is the single bone in the body that does not form a joint with another bone- it is a floating one. The hyoid’s role is to help hold the trachea open and to form a bone connection to the tongue muscles. The malleus, incus, and stapes- referred collectively as the auditory ossicles are the smallest bones in the body. These bones can be found in a small cavity within the temporal bone; they help to communicate and amplify sound from the eardrum to the inner ear. Twenty-six vertebrae from the vertebral column of the human body. They are named after the region of the body. The sternum, also recognized as the breastbone, is a thin, knife-shaped bone positioned along the midline of the anterior surface of the thoracic region of the skeleton. The sternum attaches to the ribs by a thin band of cartilage named costal cartilage. There are 12 pairs of ribs that collectively with the sternum from the ribcage of the thoracic region. The first seven ribs are also known as “true ribs” due to the fact they connect the thoracic vertebrae right to the sternum through their own band of Costa cartilage. Ribs 8, 9 and ten all connect to the sternum via cartilage that is attached to the cartilage of the seventh rib. These are considered “false ribs.” Ribs 11 and 12 are also “false ribs” however are also acknowledged to be “floating ribs” ribs because they are not joined to the cartilage of the sternum at all. 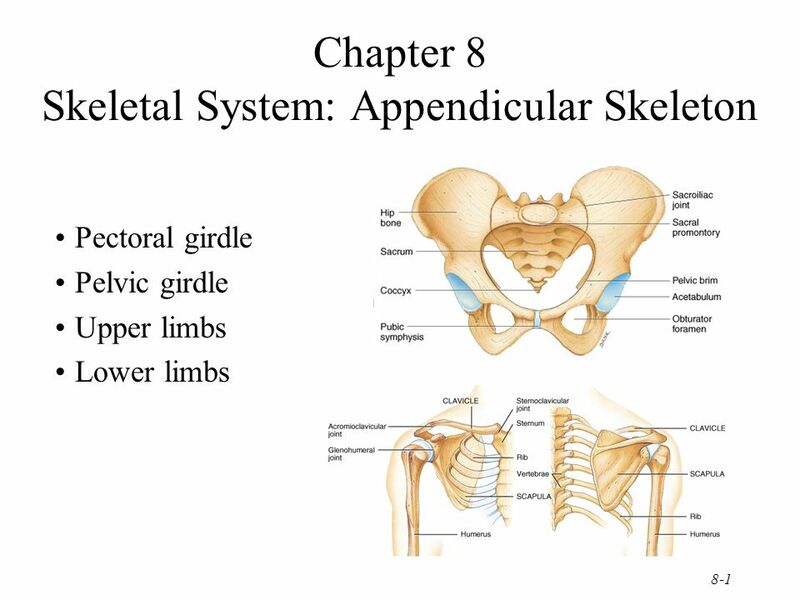 The pectoral girdle attached the upper limb or arm bones to the axial skeleton and consisted of the left and right clavicles as well as the left and right scapulae. The humerus is the bone in of the upper arm. It forms the ball and socket joint within the shoulder, with the scapula and forms the elbow joint with the lower arm bones. The radius and ulna are the tow forearm bones. The ulna is the medial side of the forearm and forms a hand joint with the humerus at the elbow. The radius enables the forearm and hand to turn over at the wrist joint. The lower arm bones form the wrist joint with the carpals, a group of eight small bones that provide added flexibility to the wrist. The carpals are attached to the five metacarpals that form the bones of the hand and connected to each of the fingers. Each finger holds three bones known as phalanges, except for the thumb, which only has phalanges. The femur is the longest and largest bone in the body and the only one of the thigh (femoral) region. 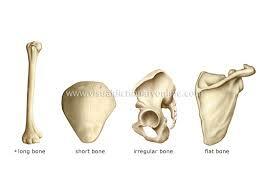 The femur makes the ball and socket hip joint with the hip bone and forms the knee joint with the patella and tibia. This area is commonly regarded to as the kneecap; the patella is unique since it is one of the few bones that are not present when you are born. The patella forms in early childhood to strengthen the knee for crawling and walking. The tibia and fibula are the bones of the lower. The tibia is much much large than the fibula and holds almost all of the body’s weight. The fibula is primarily a muscle connection point and is utilized to help maintain a person’s balance. The tibia and fibula articulate the ankle joint with the tail, which is one of the seven tarsal bones in the foot. The tarsals are a group of seven smaller bones that make the posterior end of the foot and heel. The tarsals from joints with the five long metatarsals of the foot. Each of the metatarsals makes up the joints with one of the sets of phalanges in the toes. Each toe has three phalanges but for the big toe; which only has two phalanges. The skeleton makes about 30 to 40% of an adults body mass. The skeleton mass consists of a nonliving bone matrix and many tiny bone cells. Roughly half of the bone matrix mass is water, while the other half is solid crystals of calcium carbonate, collagen protein, and calcium phosphate. Living bone cells are found on the edges of bones and within small cavities inside the bone matrix. Even though living cells make up very little of the total bone mass, they have several vital roles in the functions of the skeletal system. There many different types of bones that can be categorized into five different types long, short, flat, irregular, and sesamoid. Long Bones are longer than they are wide; they are the major bones of the limbs. Long bones grow more than any other classes of bones throughout childhood and are accountable for the bulk of our height as adults. A hollow medullary cavity is located in the center of long bones and serves as a storage area for bone marrow. Examples of the long bones are the phalanges, metatarsals, femur, tibia, and fibula. Short Bones are about a short as they are wide and often curved or round. The tarsal bones in the foot or the carpal bones in the wrists are examples of these types of short bones. Flat bones – can vary significantly in shape and size. However, they have a common feature of being very thin in one direction. Since they are thin, flat bones do not have medullary cavity like the long bones. The frontal, parietal and occipital bones of the cranium, along with hip and rib bones are all examples of flat bones. Irregular bones- have some shape or pattern that does not fit the pattern of long, short or flat bones. The sacrum vertebrae, and coccyx of the spine, and the ethmoid, sphenoid and zygomatic bones of the skull are all irregular bones. Sesamoid bones are formed after the birth inside of the tennis that runs along the joints. Sesamoid bones grow to shield the tendon against stress and strains at the joint and can help give a mechanical advantage to muscles pulling on the tendon. The patella and the pisiform bone or the carpals are the only sesamoid bones that are calculated as part of the 206 bones of the body. Other sesamoid bones can form in the joints of the hands and feet, but are not present in all people. 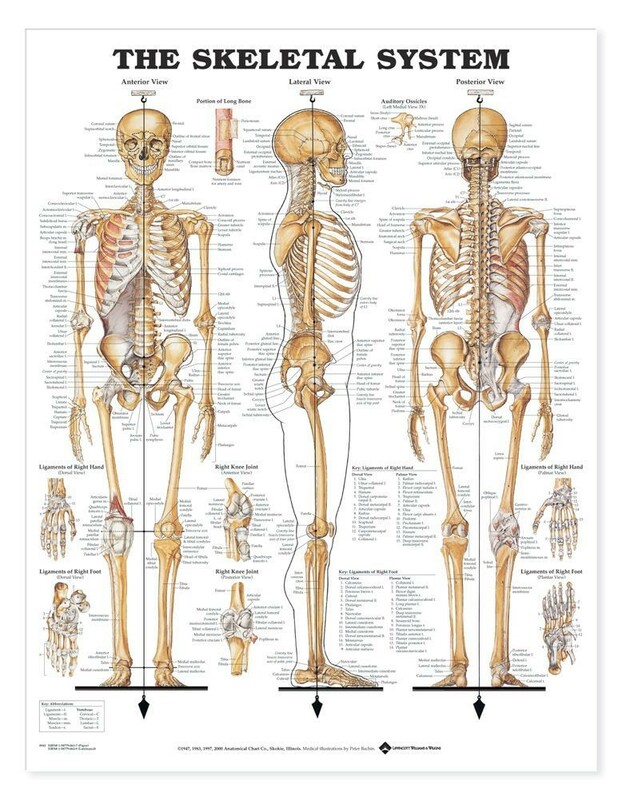 The long bones of the body encompass many unique regions due to the way in which they grow and develop. At birth, each long bone is made of three individual bones divided by hyaline cartilage. Each end bone is called an epiphysis (epi=on ; physis = to grow) while the center bone is called a diaphysis (dia = passing through). The epiphyses and diaphysis develop and grow towards one another and ultimately fuse into one bone. The region of the growth and eventual connection in between the epiphysis and diaphysis is called the metaphysis (meta-after) Once the long bone parts have fused together, the only hyaline cartilage left in the bone is located as articular cartilage on the ends of the bone that form joints with other bones. The particular cartilage acts as a shock absorber and gliding surface linking the bones to facilitate movement at the joint. Looking at a bone in cross section, numerous distinct layered regions make up a bone. The outside of a bone is blanketed in a thin layer of dense irregular connective tried referred to as periosteum. The periosteum has many strong collagen fibers that are used to firmly anchor muscles and tendons to the bone for motion. Osteoblast cells and stem cells in the periosteum are incorporated in the growth and repair of the outside of the bone due to injury or stress. Blood vessels present in the periosteum provide energy to the cells on the surfaced of the bone and penetrate into the bone itself to feed the cells inside the bone. The periosteum also contains nervous tissue and many nerve endings to give bone its sensitive to pain when injured. Deep inside the periosteum is the compact bone that composes up the hard, mineralized portion of the bone. Compressed bone is made of a matrix of solid mineral salts reinforced with tough collagens fibers. Many tiny cells called osteocytes exist in small spaces in the matrix ad help to preserve the durability and integrity of the compact bone. Deep to the dense bone layer is a region of porous bone where the bone tissue grows in thin columns named trabeculae with spaces of red bone marrow in between. The trabeculae grow in a particular pattern to resist external stresses with the least amount of mass possible, retaining bones light but strong. 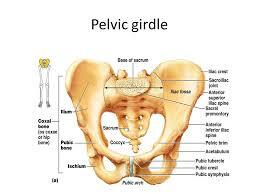 Long bones have a porous bone on their ends but have a deep medullary cavity in the center of the diaphysis. The medullary cavity holds red bone marrow during childhood, eventually turning into yellow bone marrow after puberty. An Articulation, or joint, is the point of contact between bones, between a bone and cartilage, between a tooth and bone. Synovial joints are the most prevalent type of articulation and feature small gaps between the bones. These holes allow a free range of space and motion of the synovial fluid to lubricate the joint. Fibrous joints subsist where bones are very tightly joined and offer limited to no movement between the different bone. Fibrous joints also hold teeth in their sockets. Finally, cartilaginous joints are formed where bone meets cartilage or where there is the layer of cartilage in-between two bones. These joints provide a small quantity of flexibility in the joint due to the gel-like consistency of cartilage.